How old were you when you learned it wasn’t cool to love the mall anymore? I was about 20, in college getting a liberal arts degree, and dating an anarchist who subsisted on vegan ice cream sandwiches and Noam Chomsky books. It was way back around the dawn of the new millennium, when shopping on the internet was really becoming a thing, a big ol’ recession was on the horizon, and years of trickle-down economics that didn’t actually trickle left the average suburban mall dweller without disposable income to blow on Sharper Image foot massagers. In the years since then, a lot of ink has been spilled about the demise of the shopping mall and who’s to blame for the slow death. 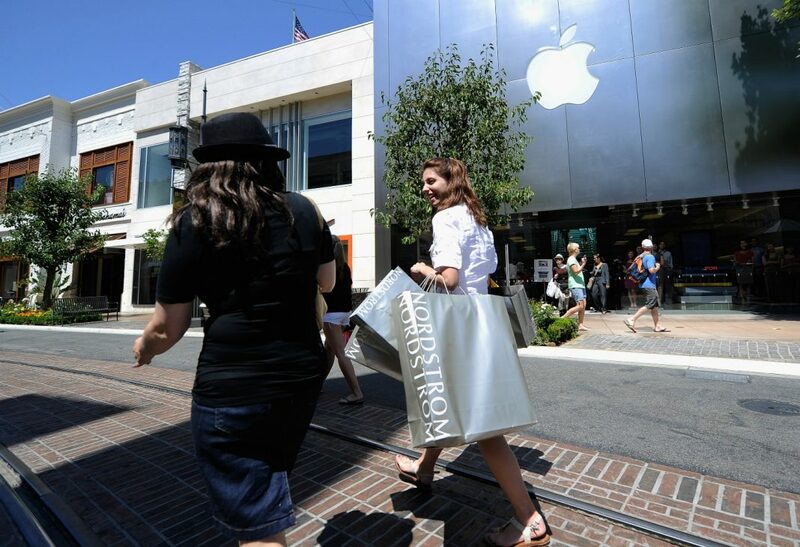 In 2017, an L.A. Times writer said, “The mall—suburbia’s onetime lifestyle nexus for giant pretzels, ear piercings and a girl’s first thong—is battling a decline in cultural relevance as the social meeting place for young Americans continues to transition from physical spaces to phone screens.” While changing times have resulted in a number of casualties—RIP Westside Pavilion—L.A.’s malls aren’t relinquishing their cultural-institution status without a fight. I mean, when’s the last time you tried to find a parking space in the Glendale Galleria’s garage on a Sunday afternoon?